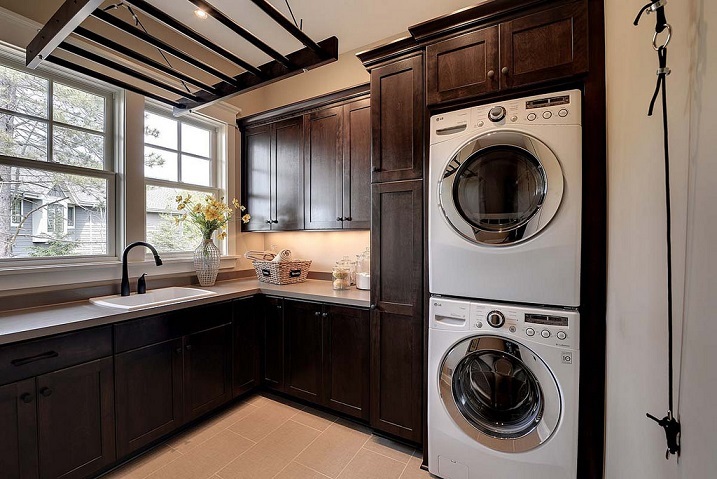 The laundry room is often a forgotten area of your home, but it’s one that you use a lot. Because it’s seen as a purely practical space, it gets neglected. However, other areas of your house are practical rooms that you spend a lot of time walking in and out of, and they still get treated better. If you have to spend time in your laundry room, you might as well make it a place that’s a bit more enjoyable to be. There are several ways to improve your laundry room so that it looks better, makes better use of the space, and has a good atmosphere too. Laundry rooms aren’t known for being huge. It’s usually the smallest space in the house or close to it. While it might be enough to fit in a washing machine and dryer, you can find that you struggle for space for anything else you need. One thing you might consider doing is expanding the room so that you have more space. If you have space to the back or side of your laundry room, since they tend to be at the back of a home, you might consider extending it. Even just a few more square feet could make a huge difference. Storage is an essential part of any laundry room. You need somewhere to put laundry detergent and other products, as well as equipment like an iron and ironing board, laundry baskets, and more. You need to have enough storage space, and you need to think about keeping things securely stored. If you have children or even pets in your home, you don’t want to risk them getting in and thinking that a detergent pod is something they can eat. When you’re planning storage for your laundry room, you often have to think smartly to make the best use of the space you have available. Use anywhere you can think of to store thing smartly, from hanging things on the walls to putting storage underneath counter-tops and surfaces. Not everything in your laundry room needs to be close at hand all the time. You might do the ironing in there, but you don’t always need to have your ironing board and iron available. When you’re not using something, hiding it away in a smart way can help you to save space and keep the room looking tidy. For example, an ironing board could slide out of the way or perhaps fold up against a wall to save on floor space. You could do the same with a folding table if you want to have somewhere to fold clothes once they’ve been washed and ironed. 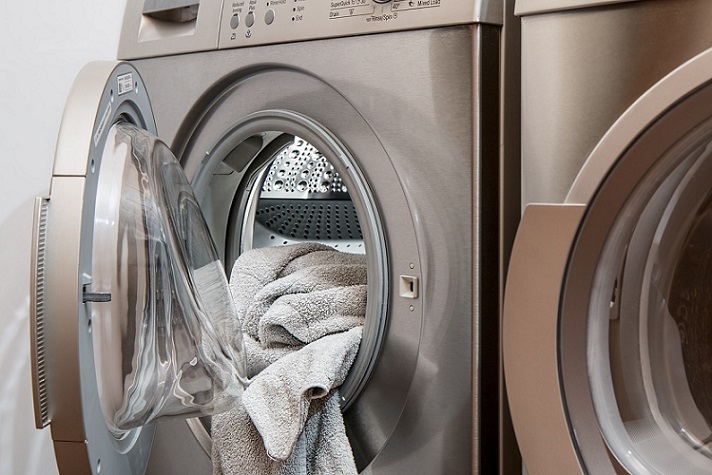 Your appliances are clearly going to take up a lot of space in your laundry room. You might have a washing machine and dryer, or perhaps a combined machine. 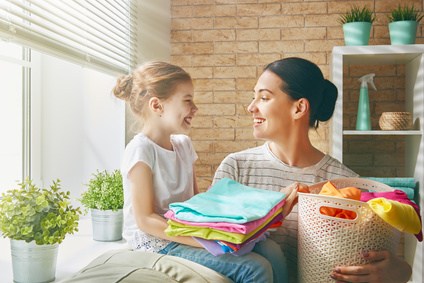 Some families even prefer to have two of each so that they can be more efficient when it’s laundry day. Of course, they’re bulky, so you can’t exactly tuck them away into a corner. One way to save space is to stack your machines on top of each other so that you can save floor space. Obviously, this only works if the appliance on the bottom is front-loading. However, if you want to choose top-loading appliances, that’s another way that you could save space, especially if you want to buy larger machines. For a lot of people, the laundry room is no longer just the laundry room. Using it for something else means you get more from it, even when you’re not doing the laundry. Perth Renovations Co has a number of suggestions for how you could transform your laundry room. They suggest using the space as a reading room or creating a mini workshop or perhaps making a dedicated space for family pets. Laundry rooms are ideal for slightly messier activities, and many people also use them as mud rooms or general utility rooms for keeping muddy shoes, sports equipment and other various items. Laundry rooms don’t have to be purely practical. They should look good too, and it’s not difficult to quickly refresh any room that you want to. For an easy and quick way to give your laundry room a new look, you can paint the walls for a new colour or simply to touch up any areas that look worse for wear. You might also consider cheering up the room with some decorative items, from hanging art on the wall to getting some ornaments or trinks to put on available surfaces. Think about practicality when you’re choosing how to redecorate so you can make better choices. A laundry room doesn’t have to be dark and shadowy. In fact, it’s better if you have good lighting. You’ll be able to see what you’re doing more easily, and the room will feel less depressing. If you can improve the natural light in the room, do that first. Use light colours to emphasize the sunshine coming in or maybe even add an extra window to improve things. You can also put in some new lighting and make sure you go beyond having a single bulb hanging from the ceiling. Install task lighting, so you have plenty of light when you’re doing laundry. Another key area you might want to think about is the floor. Ideally, your laundry room floor needs to be durable. You could spill all kinds of things on it, and you don’t want your floors to be dangerous when they’re wet, either. Wooden floors are best avoided, but there are other stylish options. Practical concrete can be made beautiful by polishing it, and porcelain tiles are also a good choice. You can choose cheaper floor materials, but you probably want to consider how long they’re going to last. 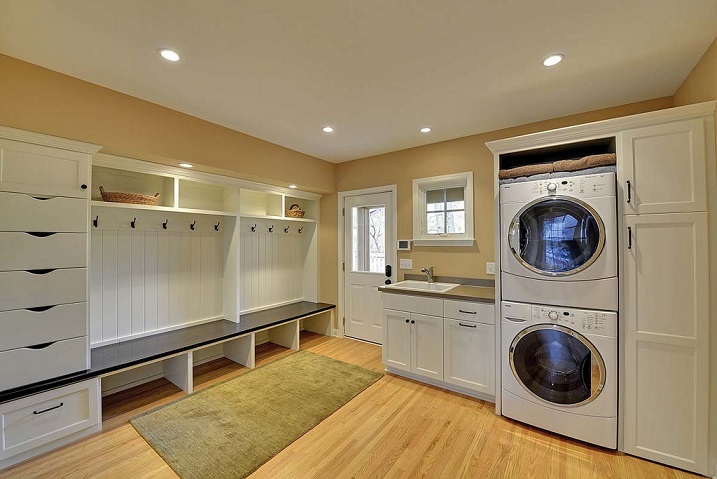 A laundry room can be much more than a functional space that’s hidden away in your home. Turn it into a bright and airy room that you enjoy using.